Pakistan beat Zimbabwe by 201 runs and 9 wickets. After losing the first match; England beat India by 86 runs and then 8 wickets. The question then is who is the better team? England do not play any ODI until October. The International white ball cricket season is over for England at home. As I mentioned in my preview; England needed to bat first and score over 350 while limiting India to under 290. This margin of victory might have been enough if Jason Roy was present. Leaving him out because of injury meant that England could not breach the level they had reached after the game at Lords. Speaking about the game at Lords; Bumble commented today that he felt that Joe Root was wrongly given run out in the game at Lords. This “mistake” was corrected during the day. I had to adjust my numbers because of that too. Two more game have gone by and I am still not closer to deciding what a good score will be. Teams seem to be using these games to test out various combinations . In a year’s time we will know how effective the preparations of the teams were. The standings of the teams are below. Pakistan has gone into second place. They still have three matches left to play. If they keep playing the same side then they will most probably take over the number one spot. If they make changes then it is a different issue though. Another powerful batting performance leap frogged Fakhar Zaman into the top. Baristow held on to the number 1 place. Roy’s injury meant that he could increase his score. That being said; Rohit Sharma’s failure in today’s game meant that he drops out of the top ten. Root and Morgan built on their performances. The “Spin Twins” of Adil Rashid and Moeen Ali are sitting nicely on the top. Things may change by the end of the month. England blunted Kuldeep Yadav. I do wonder whether they have figured out how to play him. I can also bet that the Australian’s who India play next would be watching and analysing his videos thoroughly. Faheem Ashraf dropped off the list. I liked the way he played against England and Ireland. I still feel that he has not yet given a genuine all round performance. Either he does extremely well with the bat or extremely well with the ball. When I created the index I did expect a country or two to have three players or so in the ODI XI but little did I expect that the team will have representation from only two countries and that too nine players from England. Fakhar Zaman and Baristow were the openers with the highest points. Number three has been held strongly by Callum Macleod but Roy is too devastating a player to lose out. Further Macleod will be removed from the index and table in a few matches. Due to this I decided to give him a graceful retirement. I hope to see him back once Scotland plays two more games. Root has been doing extremely well. He has scored more total points than Marsh. Four is still high enough for Root to build an innings. Eoin Morgan continues to stand strong at five and so does Jos Buttler at six. Moeen Ali is best all rounder closely followed by David Willey. This batting line up goes all the way down to 10. The weakness though is in its bowling. Not having a sixth bowler means that there is no respite for the bowlers. One way to remedy this is to have Shoaib Malik bat at four and Root at three. Malik has not got close to the required amount of points yet to make the cut. Once again I look forward to your views. Previous Previous post: England vs. India: The finale. 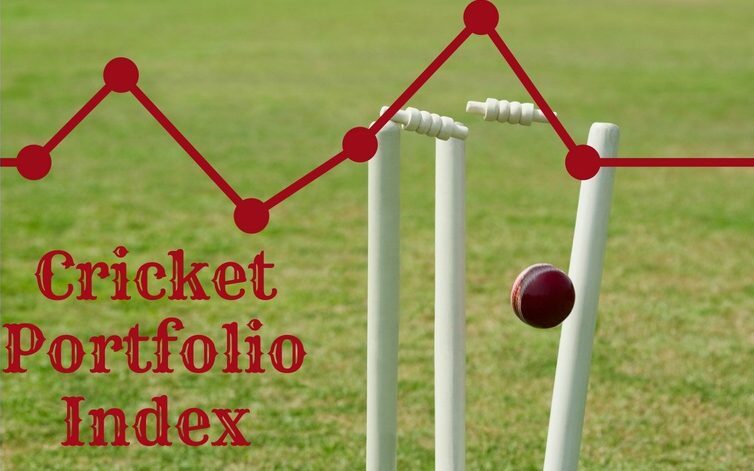 The Soans Times Cricket Portfolio Index ODI: England comes back again.